Etihad Stadium is a multi-purpose sport and entertainment stadium in Melbourne’s Docklands. The stadium is the only football stadium in the Southern Hemisphere with a fully retractable roof, complete with moveable seating for different seating configurations. Primarily built for Australian Rules Football or the “footy”, the first match played at the ground was between Essendon and Port Adelaide, before a crowd of 43,012. Apart from the footy, the stadium has seen 181,495 people packed together during the AC/DC concert in 2010. Throughout its years, Etihad Stadium has also hosted many memorable concerts for some of the world’s biggest stars including Taylor Swift, Foo Fighters, Justin Timberlake, Bon Jovi, Andre Rieu, and Eminem. A short walk across the bridge from South Wharf will land you in Docklands – and the heart of football territory. 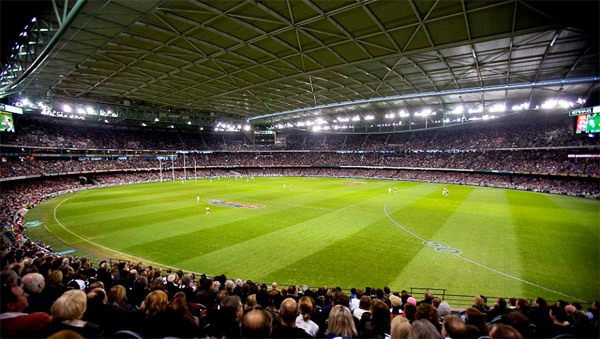 As the colder winter months set in, footy games are held at the stadium each weekend in true Aussie fashion and with Novotel Melbourne South Wharf just around the corner, footy fans can now be right near the action – and retreat to a world-class hotel equipped with everything one needs. Whether checking in for the football – or something else – Novotel Melbourne South Wharf provides sophisticated yet comfortable guest rooms removed from the hustle and bustle of city life. From the hotel’s elevated position with floor-to-ceiling windows, each room offers striking views from the city to the bay. Rooms at this stunning Melbourne hotel feature a Novotel Live ‘N Dream signature bed, LED Smart TV with media hub, a minibar, work desk and Complimentary Wireless Internet access. There’s also parking, breakfast, a restaurant and bar, and more services than you can possibly use, making it the ideal base for a weekender. To find out more about the footy, visit http://www.afl.com.au/fixture and book your stay at Novotel Melbourne South Wharf today.